In September I wrote about my first impressions of autumn semester’s courses. Now it’s time to look back what I learned and what kind of grades I got! Last semester was the end for my third year, and my final year will begin at the end of this month. If all goes well, I will graduate in December. For new readers: I’m studying Chinese as a foreign language undergraduate degree at Sun Yat-Sen University. My major Chinese with a specialisation to Teaching Chinese as a foreign language. Spoken Chinese course continued like the semester before this. Too many students in class and a teacher who liked his own voice more than ours. We did learn many sentence patterns, but didn’t use them often enough to actually remember them. We only had one presentation per student, which is way too little to actually help with our spoken Chinese level. My final grade was 86. Modern Chinese course number two continued with the same book as spring semester 2012. We learned a lot about Chinese characters and even more about Chinese grammar. We also had to write a minimum on 1000 characters mini thesis about comparing a grammar point in Chinese and in our native language. I like the teacher a lot and was really satisfied with the course. My final grade was 91. I usually like Chinese writing courses because I like essay writing, but this semester didn’t seem to offer enough challenge. I wrote pretty much the way I wanted, started homework always the night before and still got good marks. In the final exam I did a huge mistake though! The part two was to write an essay and that went well, but in part one you had to write an outline for an essay. I completely misunderstood the point of the essay! So with this stupid mistake I lost 30 points in the final exam, nothing to do with my writing skills. I was really happy to still get a final grade of 84. Comprehensive Chinese course was one of the most memorable ones. I liked the teacher a lot! He really made us use our heads and push us outside our comfort zone. He was funny, smart and didn’t go easy on us. The key in this course was to learn new vocabulary and chengyu’s (Chinese idiom usually consisting four characters). Final grade 84. On this course we learned how to plan class activities when/if we become teachers. The first half of the course we basically planned and tried several activities every week. It’s was really fun and I learned a lot! The latter half of the course we learned how to plan lessons including an activity for different kind of Chinese courses. I liked the two teachers a lot and it was perhaps the funniest course we had. Our exam was to be a teacher for 15 minutes and I think I did a pretty good job. My final grade was 91. This course teaching us how to teach pronunciation, characters, vocab and grammar started badly. Teacher was young and inexperienced, it was painfully boring to sat on these lessons. Then I mistakenly criticized the teacher heavily while she was in a hearing distance. I felt so bad about it, but in the end she did change her teaching method! The following lessons were much much better! My final grade was 93. Taiji sword, one of the compulsory taiji courses we have (I’ll the normal taiji next semester). Too many students, hard to concentrate on teaching, lessons started at 6pm and were held outside.. Some of the reasons why I didn’t have much motivation for this course. I was glad to pass it and get a grade of 75. Chinese news paper reading course was perhaps the most boring course of the semester. I had zero motivation to participate in that course and in the end I think I didn’t even learn anything. Our teacher was young and bit inexperienced. She used a level of spoken Chinese too high for us, the hardest of all teachers. My final grade was 85 (it’s like 85%, 100 being the best). This was actually a compulsory selective course. My only selective course for the semester, Chinese idioms was a great course. Strict teacher, lots of idioms to learn and the fear that kept me doing my homework every time. It wasn’t an easy course, but I managed to get a 88 points final grade. It was a hard semester for me. Too many things happening and taking away my motivation to study. I really thought that this would have been my worst semester, but in the end it wasn’t. I did better than on the spring 2012 semester which was a surprise. Compared to my three other classmates* in five of the compulsory courses (not including taiji sword) I had the best score in four of them, one spoken Chinese I had the second best grade. But why do I care what grades others get? At this level it often, well all the time, feels like there’s no progress in my Chinese level. It have felt like that for a long time now. The improvement is slow which makes it harder to be motivated to keep on learning. But at least I can see from my grades that I’m doing somewhat good job and I’m on the right track. Hi, I wasn’t sure how to contact you. I found your blog while researching Chinese universities as I’m interested in living in China for a year to learn Mandarin. I am someone of Chinese ethnicity who grew up overseas. I’m interested in Sun Yat-Sen University as I was born in Guangzhou and have many relatives here. I also speak Cantonese (very badly). How difficult would it be fo me to get into Sun Yat-Sen? I’ve heard it’s very hard to get into for Chinese students, and not so much for foreigners but I’m not sure where I stand. Hope to hear from you! I’ve enjoyed reading through your blog. Hi Winnie, do you have a foreign passport? In that case you can come to study really easily. Just apply, register and pay the tuition fee, it’s that easy. We have quite a many ethnic Chinese here. I have a good friend who is American and her family is originally from Guangdong province, she speaks Cantonese as her native language. Sorry you had to wait for this answer so long! I’ve lived in China for 13 years and I also plan to study Chinese after I finish school. I’ll probably go to the Jinan College in TianHe, like my brother and many others I know who’s Chinese improved greatly after attending. 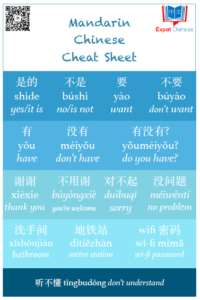 Don’t be frustrated, you need to know a Chinese child who born in China, hear and speak Chinese for all day long, has to learn Chinese for more than 6 years in primary school to just use it. Although most of them spend another 6 years on systematic learning in schools before university, they are only able to use it , if I can say, properly, with quite a lot mistakes. I’ve found a test that can show your Chinese level, want to try it?